1. Subways go by letters and numbers but not colors. Colors just show related trains that run along some of the same tracks. In Boston, for example, they say the green line but if you said where is the green line to a New Yorker you would get a funny look before you clarified the 4, 5 or 6 train. 2. There are no zones. 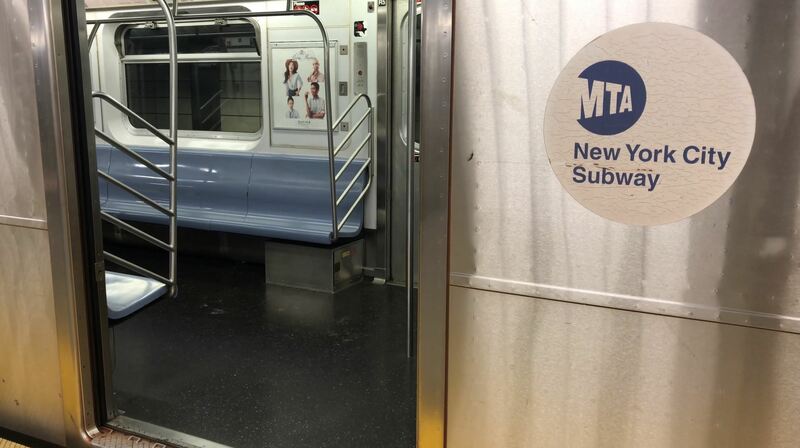 Just one swipe and you can hop on the subway anywhere. It doesn’t matter how far or how long you ride the subway, the fare is the same. A one-minute ride just one stop costs the same as a 2-hour ride. 3. There are 472 subway stations so there are some repeat subway station names. 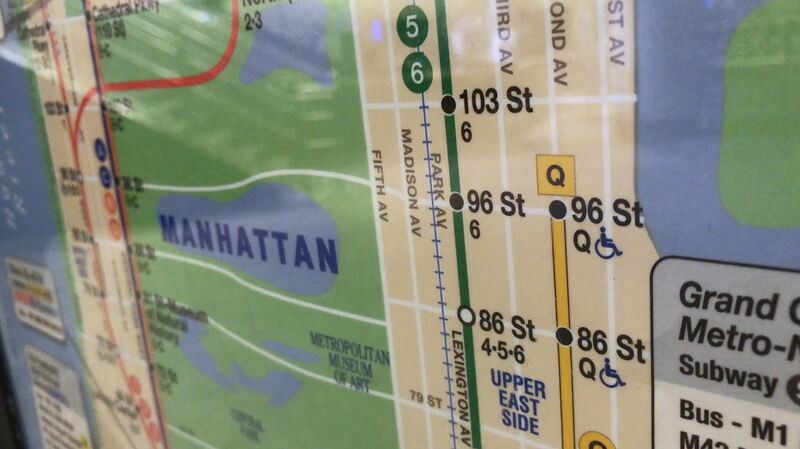 For example, there are 4 stations named “96 Street” so be specific if you ask how to get to the 96 Street station, clarify which one, is it off the 1, 2, 3, or B, C, or 6, or Q lines? 4. The original NYC subway was a system of elevated trains until the Great Blizzard of 1888 showed the need for an underground system. Today, 60% of the subway system is underground with many trains outside of Manhattan going above ground, but no matter where, it is still called the subway. 5. 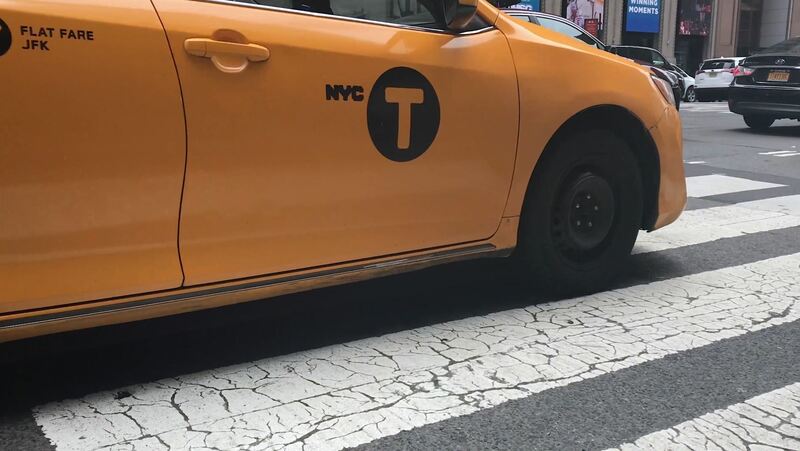 Cabs are not always faster: Look up directions in apps like google maps because often during rush hour taking the subway is faster than driving. 6. Most subway trains go uptown or downtown in Manhattan, but many do not go across. 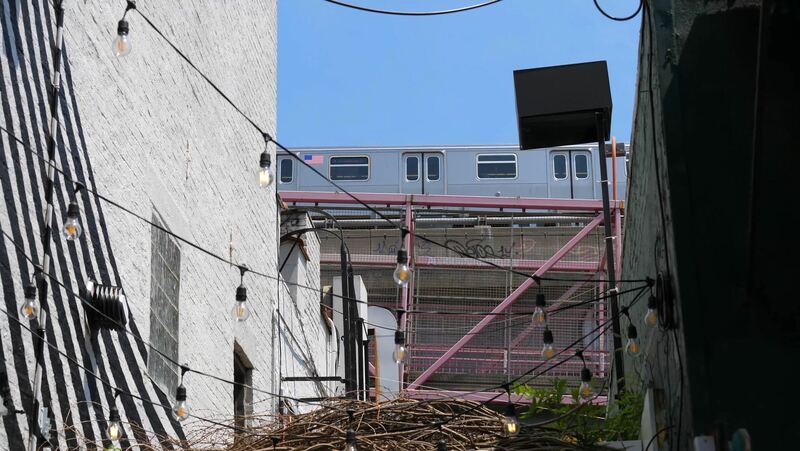 To go cross town in Manhattan there are limited options including the L train along 14th street to Williamsburg (pictured above) or the 7 or S (which stands for shuttle along 42nd street). There is no way to go across Central Park from the Upper East side to the Upper West side, so you need to take a bus, cab or car. 7. 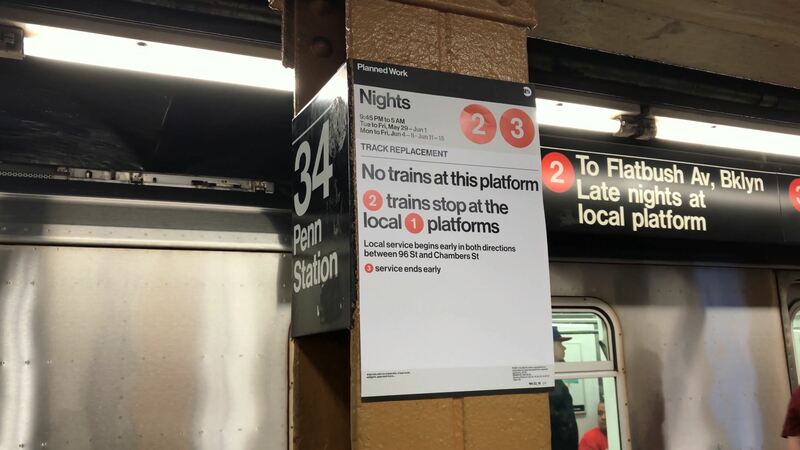 Train Direction: One of the biggest mistakes that visitors and local New Yorkers make is not paying attention to the direction indicated at the train entrance. Before you walk down into a station, check the direction. 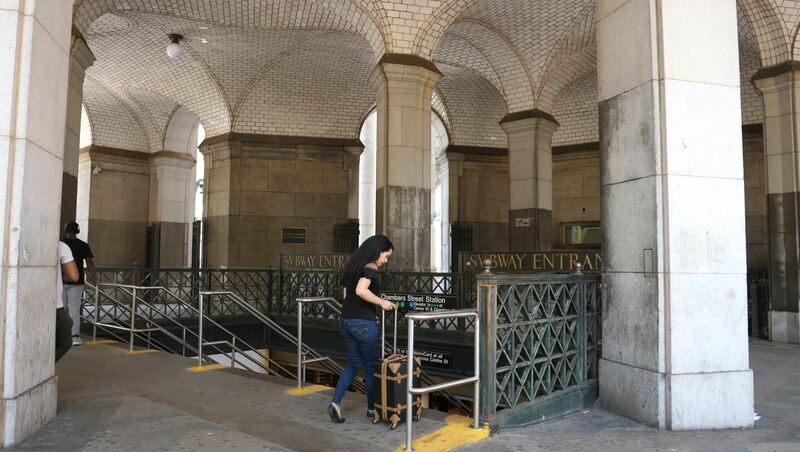 Sometimes there are separate entrances for uptown or downtown trains, so make sure you’re entering in the direction you want to go, because if you swipe into a downtown only entrance when you wanted to go uptown, you might have to leave and swipe or pay again to go uptown. Also pay attention to express and local trains. Sometimes express trains run on the same track as local trains so if a platform side is labeled for multiple trains, double check what letter is on the outside of the train that arrives before getting in. 8. 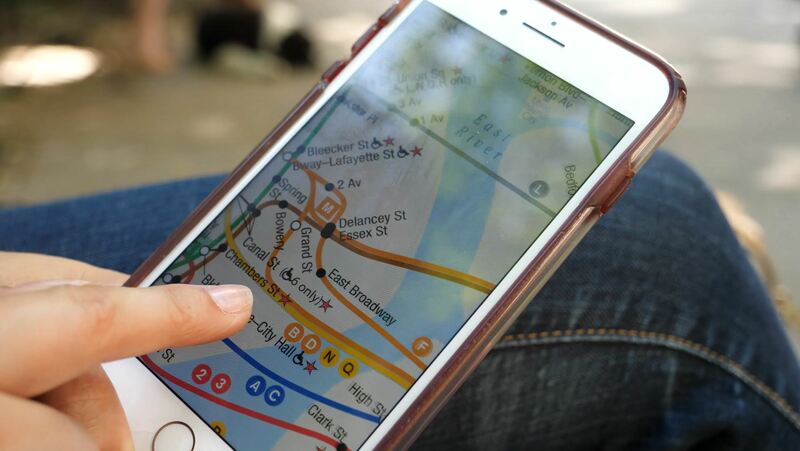 Maps: Since you might not have service below ground, my best advice to visitors and locals is to know where you’re going before you go into the subway stop (screenshot the directions in your phone so you can show someone if you get lost) and download a subway map PDF or image on your phone that you can zoom into! 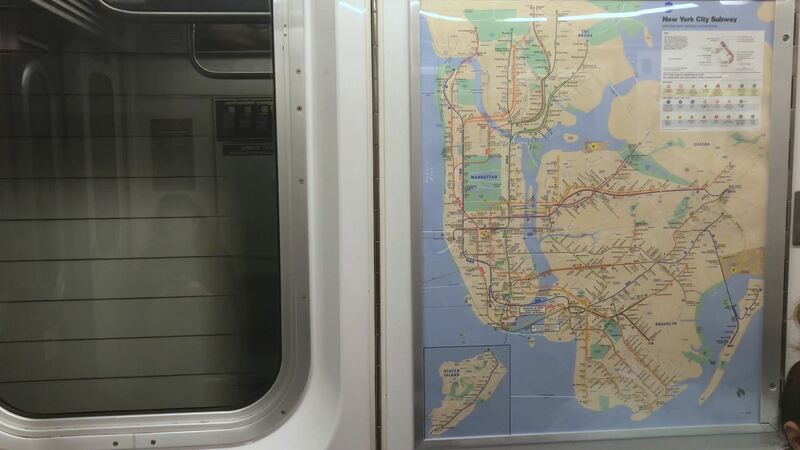 There are also maps in the entrance of each subway station and posted in subway trains for reference. 9. Check signs: if a station is unusually empty and there are signs for construction you might have to take a cab or bus depending on the situation, so pay attention to signs before swiping. This is usually an issue on the weekends. 10. Escalators. Stand on the right, pass on the left. 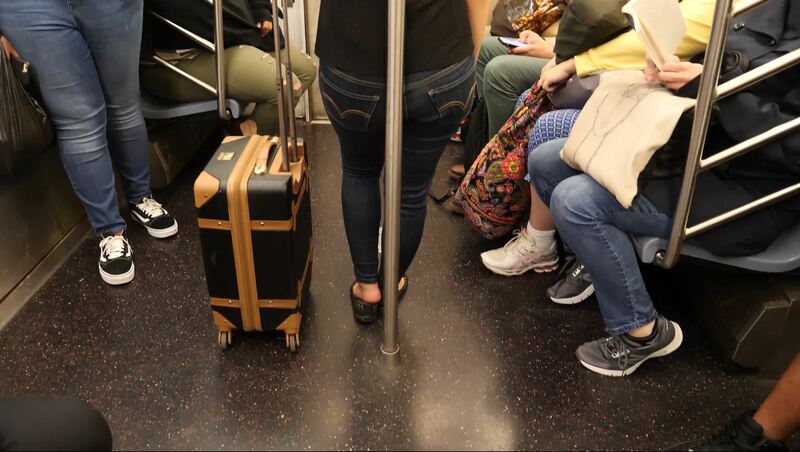 If you have luggage, hold it on the step in front of you or on the step behind you, but leave space on the left for New Yorkers who are known for being in a rush so they can keep moving. And, when you get off the escalator keep walking, if you need to stop and look at a map avoid standing in the way of foot traffic, stand to the side. 11. 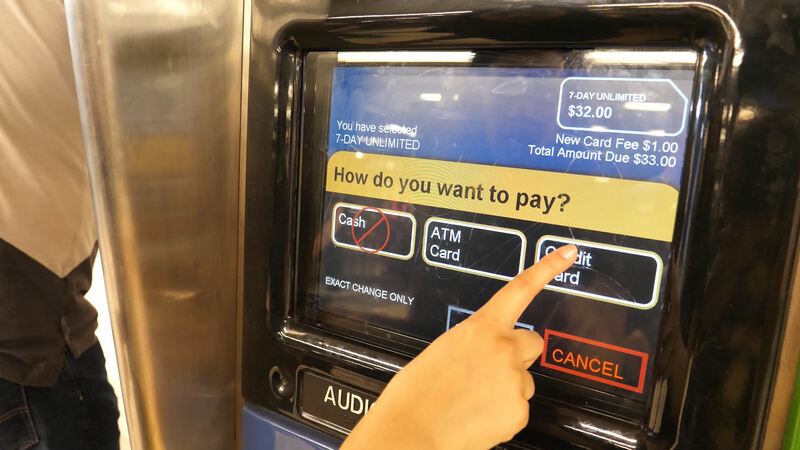 Children under 44 inches or 112 cm, no matter what age, do not need a MetroCard and can walk under the turnstile to ride the train for free, if they are with a fare-paying adult. 12. 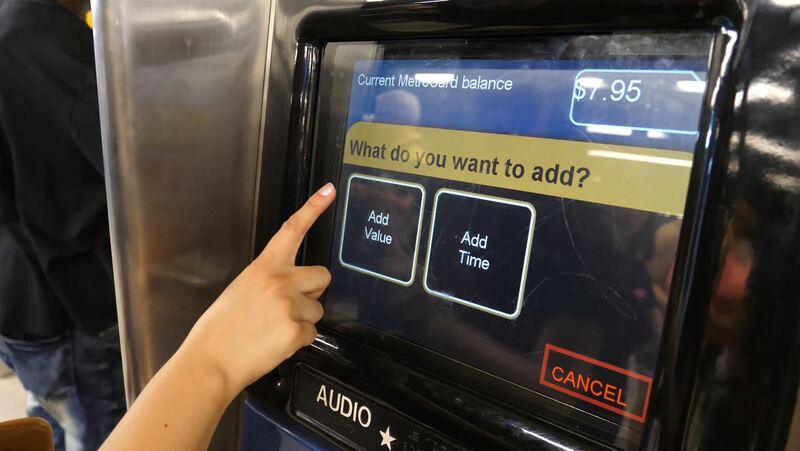 Now let’s talk about which MetroCard you should buy. 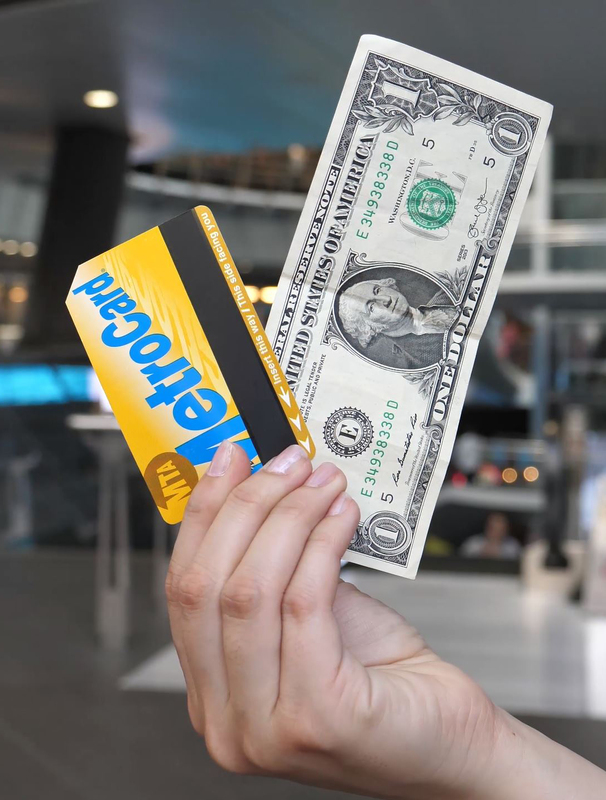 Do not get a single use metro card, it is not cost effective. 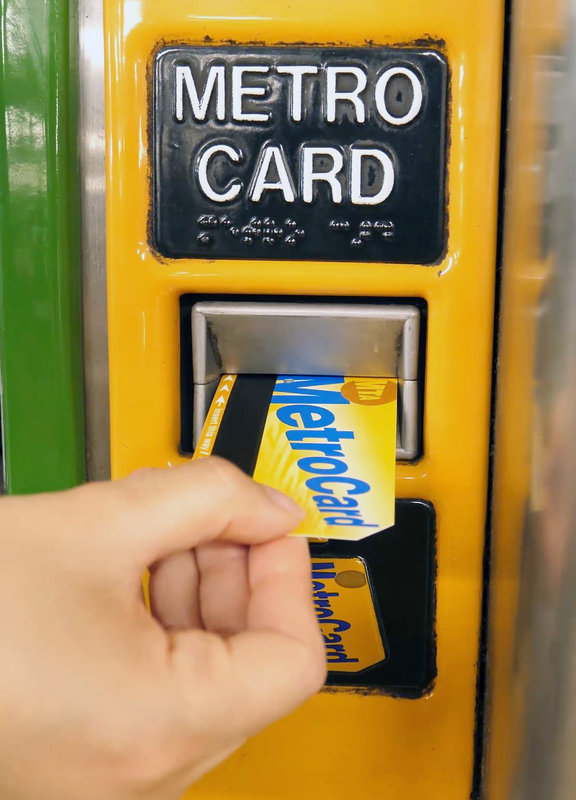 There are two main types of MetroCards: unlimited ride cards where you “add time” and the Regular MetroCards also known as Pay-per-ride cards where you “add value”. First, try to count how many times you will need to take the subway to and from different places. If you plan on swiping your card 12 times or to and from 6 different locations, then get a 7-Day Unlimited ride card to save money. If you are visiting for a full month, there is also an unlimited monthly pass. If you are only visiting for a few days or a weekend and you will not need as many as 12 swipes you can “add value” to a pay-per ride card based on how many swipes you think you might need, the more you add the more you save. You can also always add more value or money to the card if you need more swipes later. 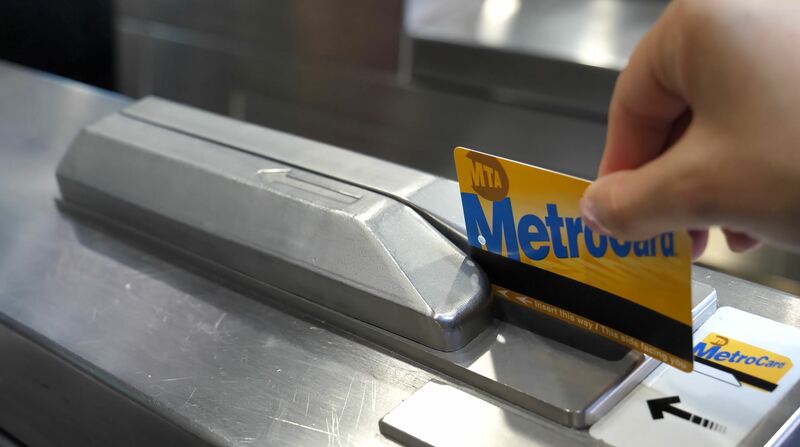 If you want to share a MetroCard with family or friends, a pay per ride MetroCard can be shared with up to four people, but an unlimited pass cannot be shared since you must wait 18 minutes between swipes. For exact costs I will write the current prices in the description box below. 13. Subway cards cost one dollar. This is new, they used to be free, but now you pay for them in addition to each swipe so do not lose it! 14. 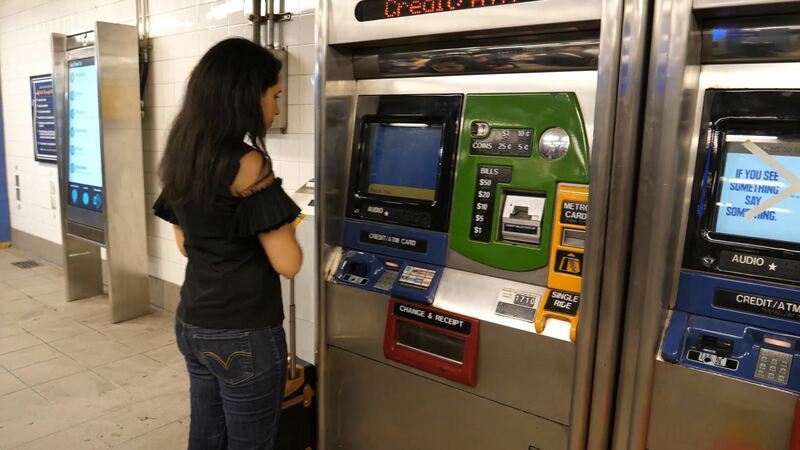 You can pay for your metro card with credit card, atm card or cash – unless it says “no bills accepted” then you need a credit card or atm card. 15. 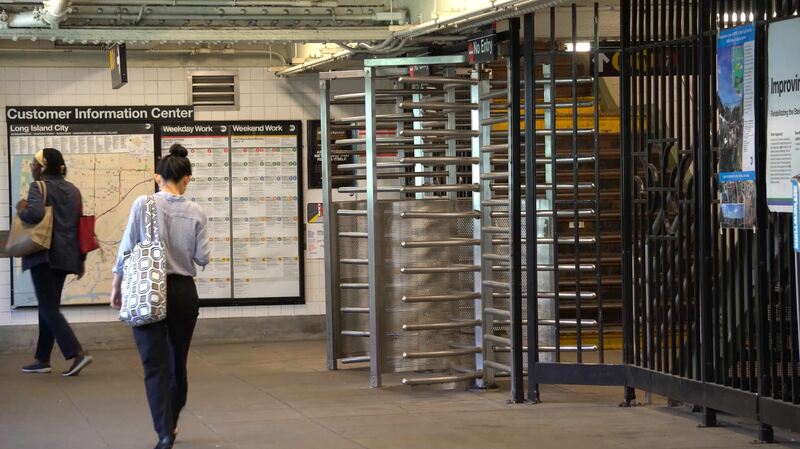 There are two types of turnstiles: If you have luggage and you have a choice find the full height larger turnstiles. 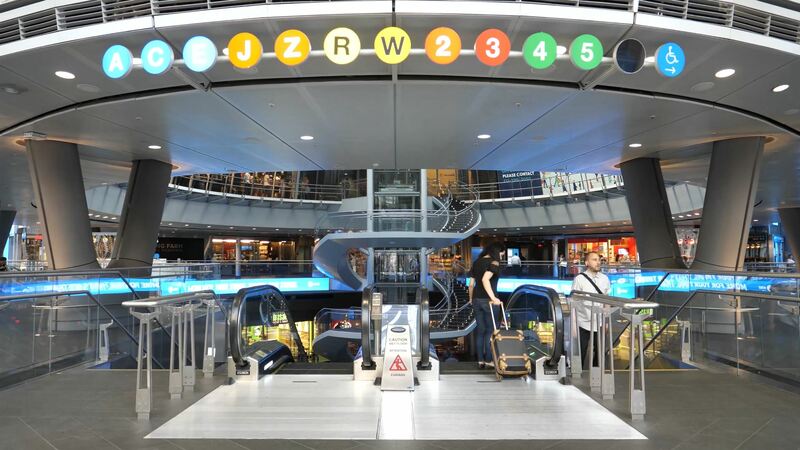 Or if you only see waist-high turnstiles, lower your luggage handle, roll it in front of you, with your hand still on it, just a few steps away from the metal so the metal turnstile doesn’t hit your luggage, thus preventing your luggage from getting stuck in the turnstile. 16. Swipe slowly! You can tell who is visiting usually by how many times they swipe their card. You swipe with the yellow front facing you black strip down and swipe slowly. It might take a few tries to get used to it. 17. When waiting to board a train, please do not block subway doors by standing right in front of the doors with nowhere for others to exit the train. 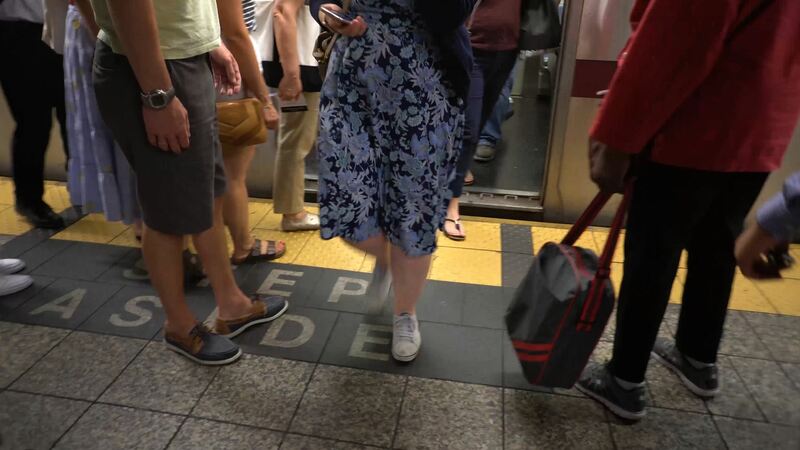 Stand on the side of the door to let people off the train before getting on the train. 18. Do not get into an empty train car if the cars next to it are full, there is usually a reason it is empty like a bad smell or broken air conditioning. 19. 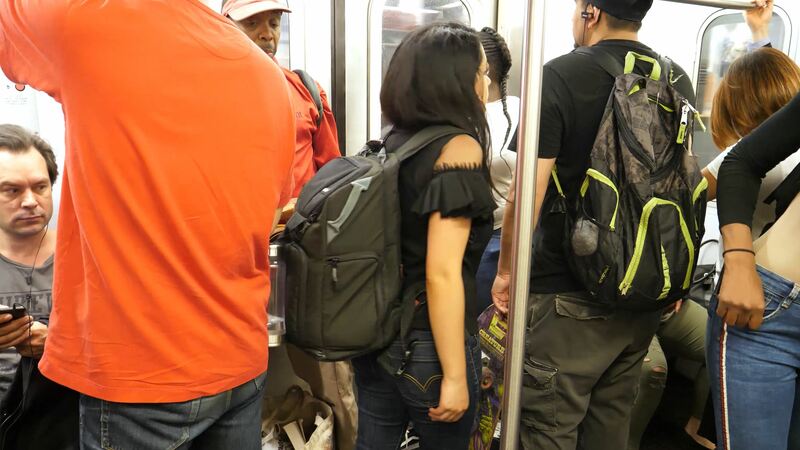 Be careful with backpacks, take them off on a crowded train. 20. 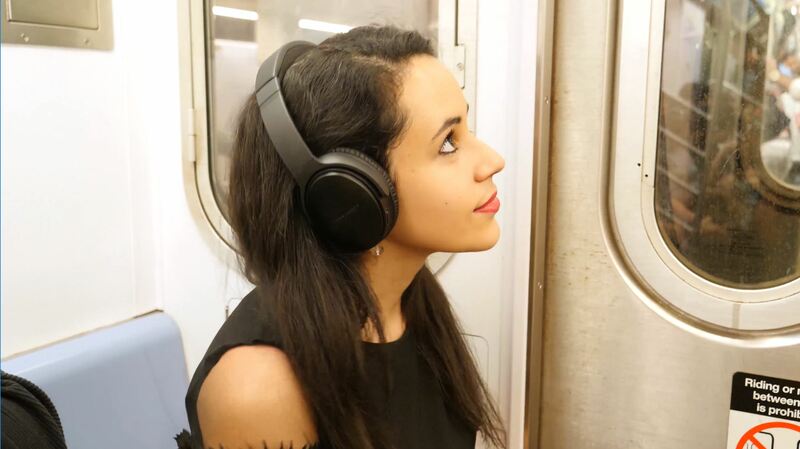 Don’t play music without headphones – I’ve seen a few people do this and it is an easy way to get attention and enemies – so just bring your headphones. 21. If you’re sitting, stand up for the elderly or pregnant or if someone looks like they need a seat. 22. Do not lean on the pole. It’s rude and prevents others from holding on to the pole. 23. 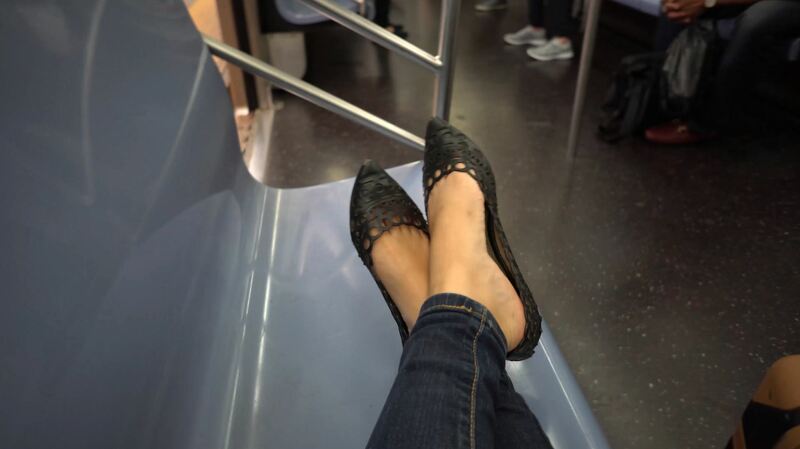 Don’t put your feet on the seat – it’s rude and technically a crime for which you can be arrested and please do not manspread – you know when one person manages to take up two or three seats. 24. You have a free transfer within 2 hours of a swipe, which is helpful in case you need to go above ground to transfer to another subway or bus. 25. 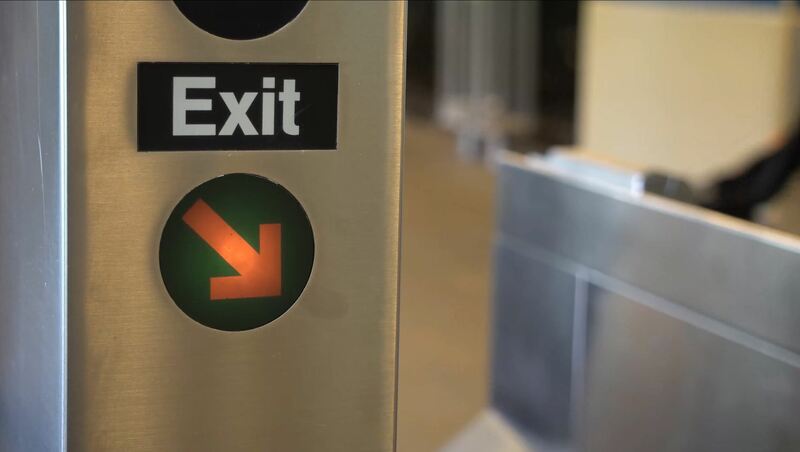 Subway exits: There are often multiple subway exits. To save time pay attention to which exit is closest to your destination. If you’re going to 20th Street and you get off at the 23rd Street Station go, exit towards 22nd instead of the 23rd street exit to save walking a block. 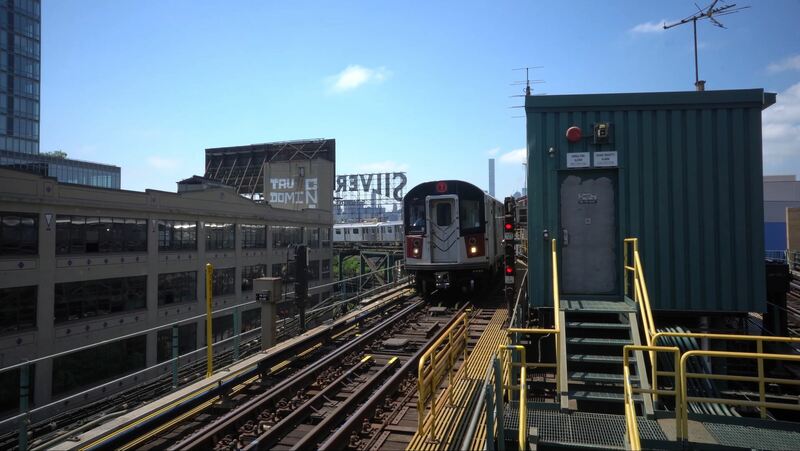 Thank you for taking this ride through the top 25 things to know about the NYC subway! 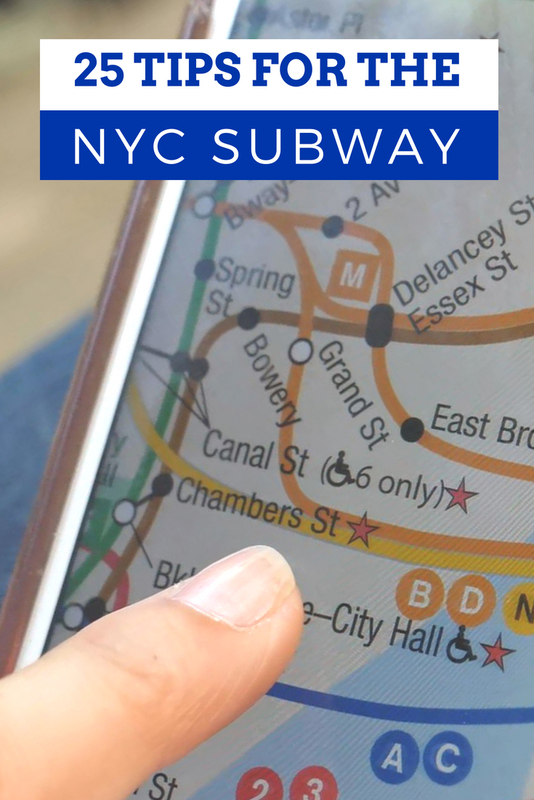 Check out a few more helpful NYC travel articles like the Most Instagrammable Restaurants and our NYC guide video playlist and comment below something about the NYC subway that surprised you!